Jen formerly of August Street, now Crafty Type, used to have a Just A Minute feature, which I enjoyed. 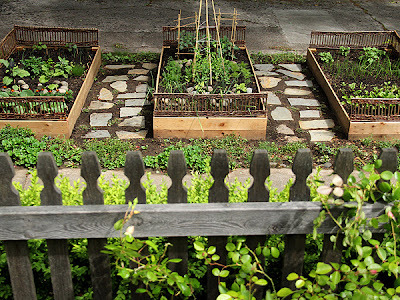 I LOVE LOVE LOVE Alicia's gorgeous garden, you really should go take a peek at Posie Gets Cozy. I love her blog, it was one of the first I started reading. Mine will be a big tilled up patch of soil at my in-law's farmstead, so not very pretty, but quite functional nonetheless.